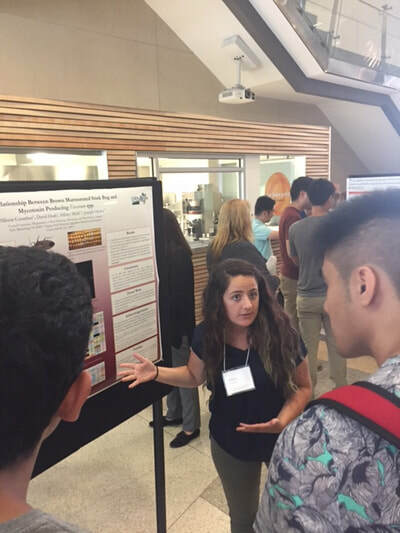 The VT-REEL program started May 22, 2017 with dorm move-in, followed by a series of orientation events (lunch provided) to help fellows network with their Blacksburg research mentors and one another. 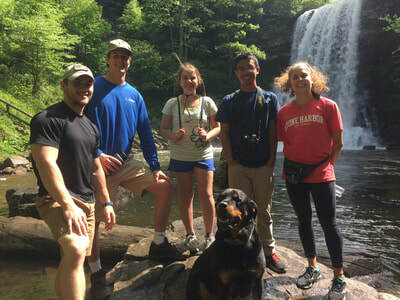 Other program-affiliated events included: a Memorial Day cook-out, tour of local farm Glade Road Growing, hike to Cascade Falls and swimming at Claytor Lake. The gallery below provides highlights of the summer. Scroll over pictures to find out more about 2017 activities. 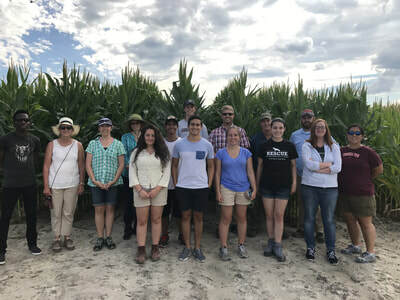 Research in Blacksburg labs often involves studies on molecular mechanisms that impact agriculture. Shown here are researchers in Xiaofeng Wang's lab, which studies how viruses hijack plant growth and development. 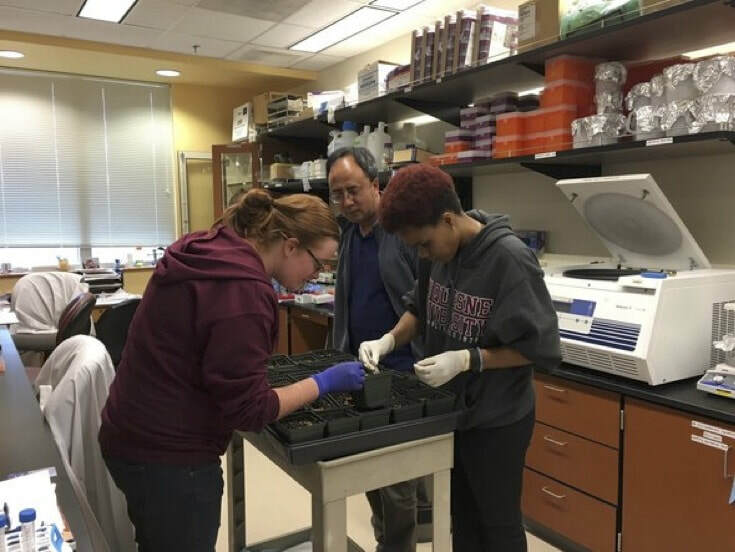 A VT-REEL student is examining how genetic mutants of Arabidopsis respond to phosphate, which is a limited nutrient important for plant growth and has important consequences for our environment. 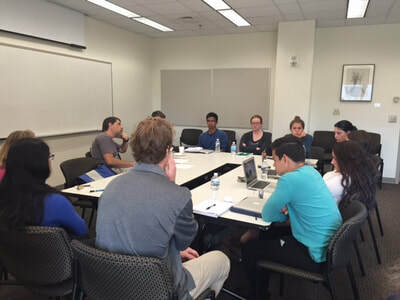 Social events with TPS graduate students involve outdoor activities such as a hike to the nearby "Cascades". Workshops each week give students a chance to learn about and discuss global agriculture, transgenic plants and consumer acceptance, bioregulatory affairs, science communication, and diversity issues in agriculture. Our first social event and workshop took us to Glade Road Growing organic farms in Blacksburg. 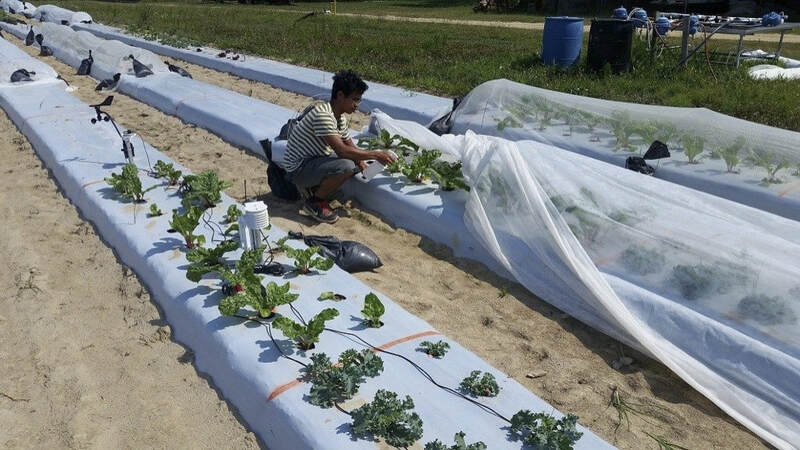 •	Our tour guide shows up hoop houses that are used to extend the growing season, and shares what it is like to run a small, agricultural business. 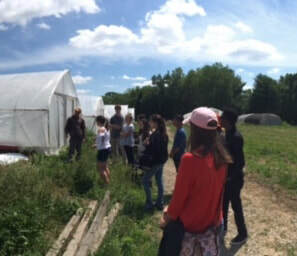 At Glade Road Growing...We had a tour and saw various ways of compact farming in an urban setting...on a beautiful summer day! Glade Road Growing also raises geese, which are to the right. AREC tour at the Hamptons Road station in Virginia Beach; looking at a field site. 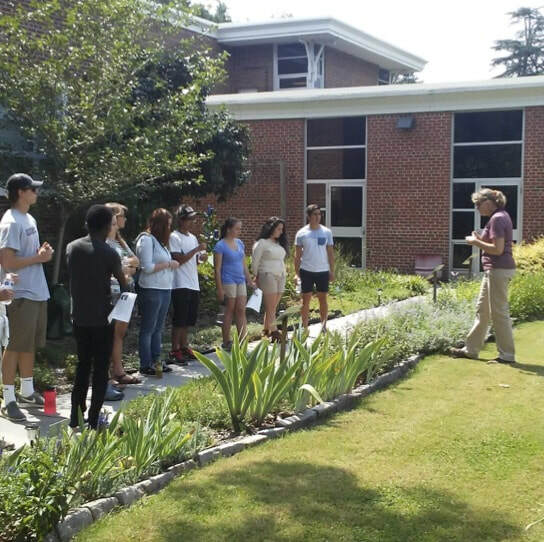 Hampton Roads AREC tour site; Laurie Fox shows us a public garden used for extension activities on water and soil conversation. 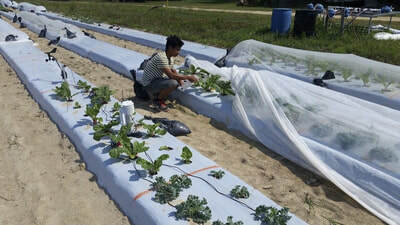 VT-REEL fellow working at Eastern Shore AREC on using row covers to increase production. 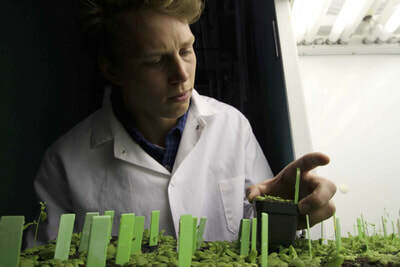 Working at field station lab to document and address blackberry quality. 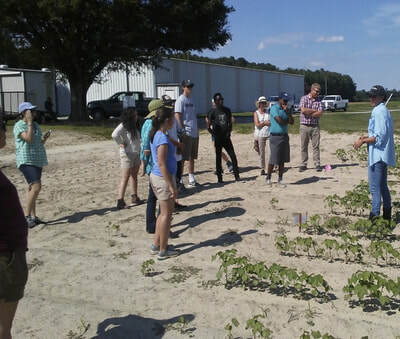 AREC tour group at Tidewater AREC station; in front of corn field site to test the impact of varying nitrogen. 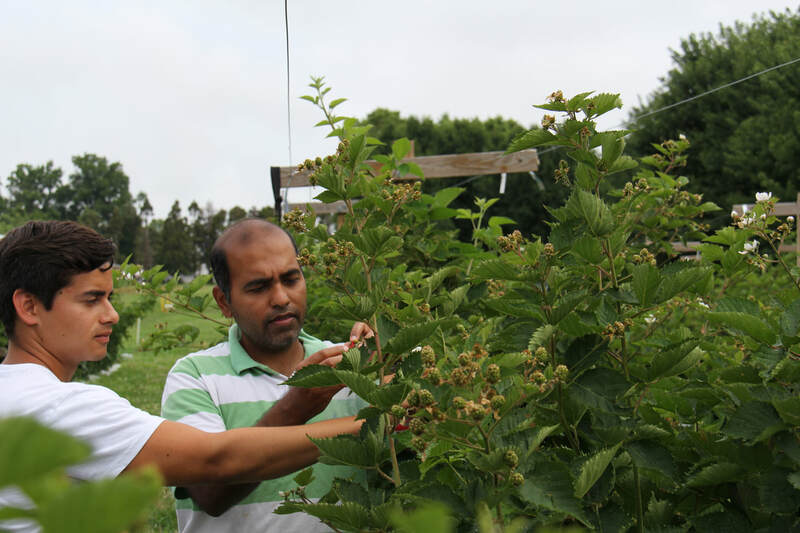 VT-REEL fellow working with Jayesh Samtani on blackberry flavor and quality. 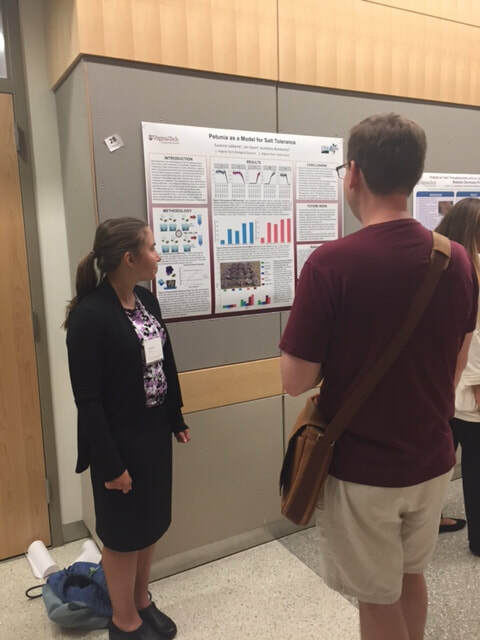 The beginning of VT undergraduate research symposium. 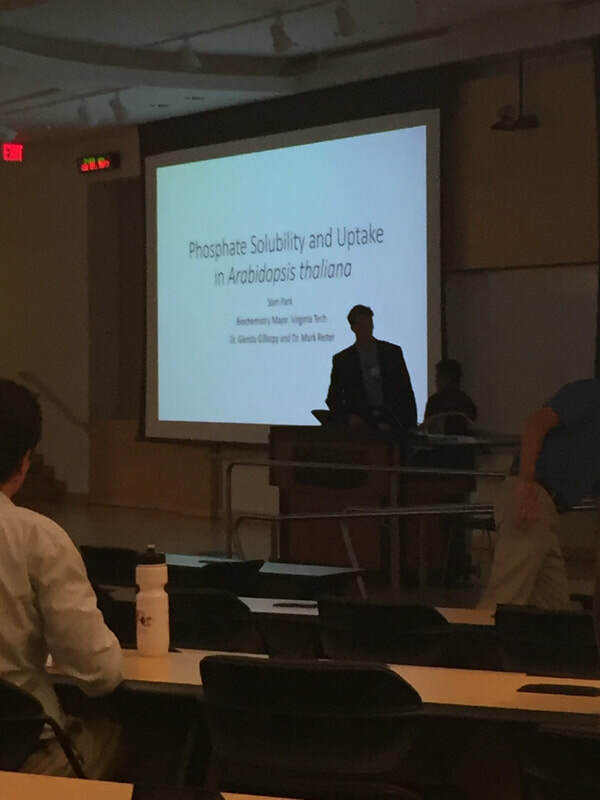 This end of summer event started off with a VT-REEL presentation on phosphate and agriculture. 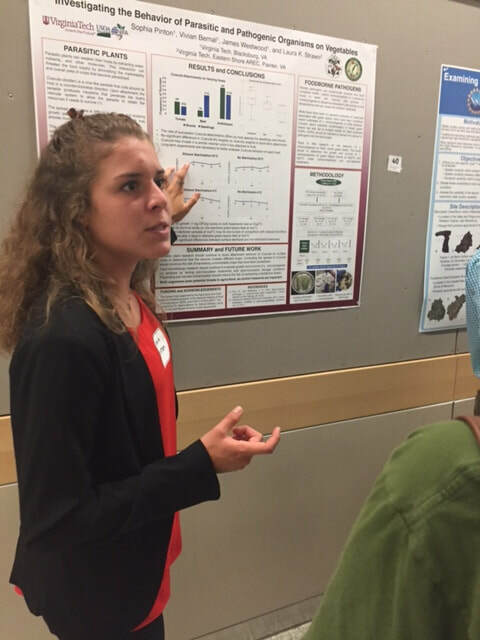 VT-REEL fellow presenting poster on parasitic plants, an unusual pathogen. VT-REEL fellow presenting poster on analysis of plant pathogens that limit corn production. 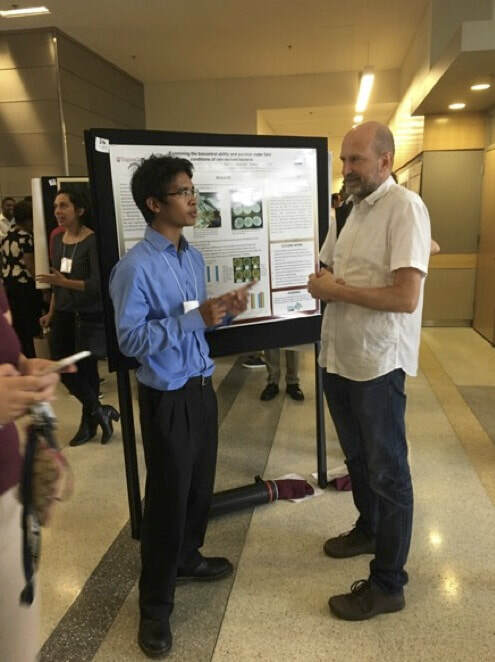 VT-REEL fellow, who worked on microbes in rainwater, with Blacksburg research mentor Boris Vintager at poster session. 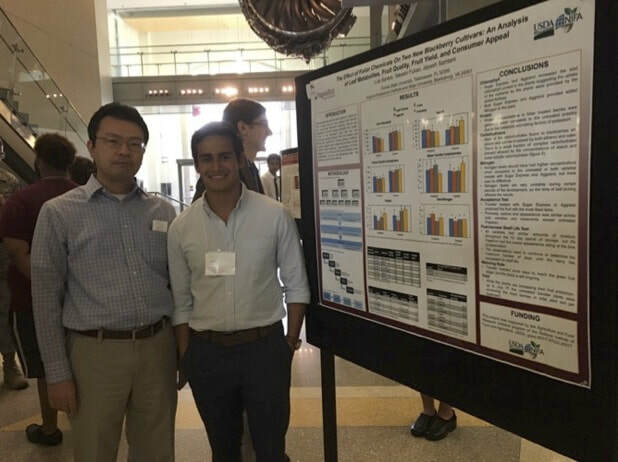 VT-REEL fellow, who worked on Mass Spectrometry analysis of flavor quality in blackberry, with Blacksburg research mentor, Takashi Fukao.